Does your property require a little TLC? Well, HV property clearance is the perfect company to spruce up your home and leave it looking better than you’ve ever imagined. 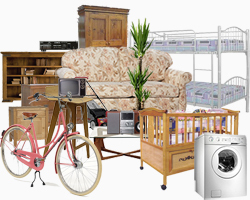 If you stay in Paisley or the surrounding areas, HV property clearances are the perfect answer to your property needs. Our property cleaning in Paisley could see your home looking spick and span in no time. For a cleaning service which is both flexible and affordable, HV property clearances will ensure high-quality property cleaning in Paisley which won’t break the bank. No matter your needs, HV property cover all aspects of cleaning. Whether you require kitchen cleaning with cupboards and worktops or simple window frame cleaning, the team at HV property clearances can ensure your home is cleaned to the highest of standards. Whether you have friends or family around, the cleanliness of your home can make a lasting impression. You wouldn’t want to go for dinner in a dirty restaurant so why would you invite friends into a dirty home? Cut out the leg work for yourself and let HV property clearances leave your home in tip-top condition. For a deep clean, why not call the HV property cleaning service and see the cost for your Paisley home? It doesn’t stop with domestic cleaning, though. At HV property cleaning we can clean your office space too! Fed up of dingy surroundings and looking for cleaners that can take the stress of your shoulders? If so, a property clearing service from HV properties could provide you with the deep cleaning that your office needs. No matter the size or condition of your property we can arrange for a service that can be tailored to your needs. Using non-toxic cleaning materials, we can provide a cleaning service that is non-intrusive and creates the greatest result without abrasive or harmful chemicals. If you’re looking to sell on your Paisley property or office, a property cleaning service will ensure it’s in the greatest condition for resale. Our team at HV property services are incredibly polite, efficient and friendly, ensuring that your property cleaning feels un-intrusive and as seamless as possible. We understand that cleaning can feel like upheaval and interfere with your everyday life but the cleaning services at HV property will ensure nothing of the sort. Enjoy the benefits of a perfectly clean office or home and redeem the benefits in no time. For more information, please feel free to get in contact!